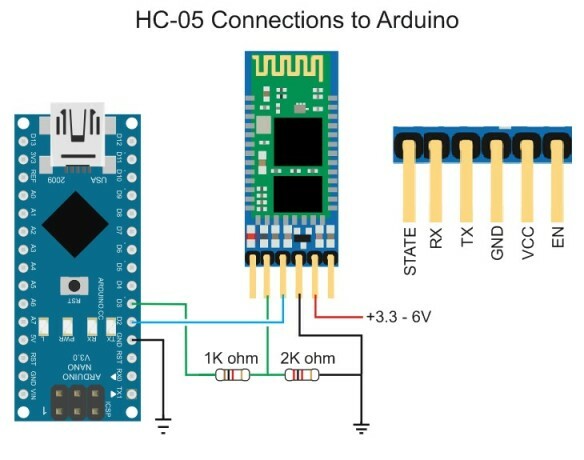 I am trying to connect my bluetooth module to my Arduino but it takes 3.3 volts (the bluetooth module HC-05, The Arduino mega takes 5v) and the tutorials online say to connect the RX pin to the Ground with a voltage divider. With a Arduino mega instead but it's still the same thing. 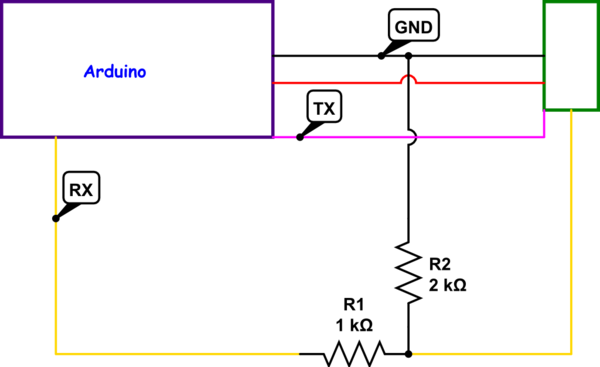 i'm not sure how it works but i don't understand because if i'v learned anything by playing around with electronics it would be that you should never connect positive voltage to GND. I mean it's not connecting 5v to GND but it seems like a bad idea i'm not sure. If someone could explain this that would be quite helpful. Could i just use a resistor from the RX from the Arduino to the HC-05, to make it 3.3v? Is RX and TX considered Positive voltage? Logic levels are the physical variables that represents the information content in any digital circuit. Assume your Bluetooth circuit is trying to send some information to the arduino. This information is encoded as a bit stream of 1 and 0 for example 1010101 this info is sent by changing the voltage level across the HC-05 Tx wire between the HC-05 allowed voltage levels which are 0V for a digital 0 and 3.3V for a digital 1. Even though the arduino logic levels are different [0V for a digital 0 and 5V for a digital 1] it would be able to read this data. Now imagine the bitstream i mentioned earlier is being sent from the arduino to the BT module. The output of the Arduino is a 0V - 5V logic level. The HC-05 needs a 0V - 3.3 volt logic level. 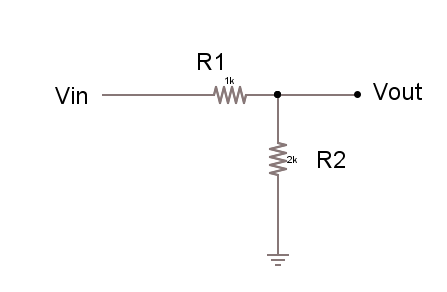 The two resistors divide the 5V high level to create a voltage at the RX pin of $$2k / (2k+1k)* 5.0V$$ or 3.3 volts. The divider must be connected to ground in order to work. The Arduino will be able to read a 3.3v logic level correctly, so nothing needs to be done to the HC-05 output. See here for a discussion of voltage dividers. Not the answer you're looking for? Browse other questions tagged arduino resistors bluetooth voltage-divider 3.3v or ask your own question. Why does Arduino SD card module only work when multimeter attached? Serial monitor controls Arduino Motor Shield; why Bluetooth didn't do? Can I use PIR + HC-06 Bluetooth Module without arduino to send events to Android? HC05 Bluetooth - why some use voltage divider and some not?